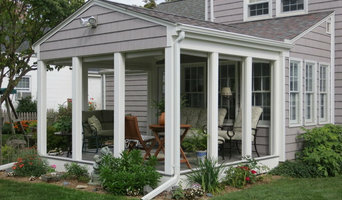 Southington Glass Company, Inc. has provided quality glass products to Southington and surrounding areas since 1952. Formerly Camp's Glass, we have utilized our opportunity to turn our business into a success by providing our customers with superior products at reasonable prices. Southington Glass Company, Inc. has been family owned and operated by Joseph and Josephine Manuele since 1984. With a lot of hard work and the focus on providing quality products, we have turned our business into one of the area's most respected glass companies. We offer great customer service to make sure that all your needs are satisfied. Contact us today for more information. Our friendly staff is waiting to assist you with all of your questions and needs. Started in 2002 by Jason Bartlett, Bartlett Contracting LLC was a two-man operation serving the Greater Waterbury area. They focused primarily on small projects. Since then, they have grown and are well-equipped to handle a full range of construction projects, serving all of Connecticut. Jason takes pride in helping his clients achieve their construction goals. With many of his employees having been with him for years, it is evident that his employees have the same work ethic. Our clients can feel confident knowing that they will receive courteous, professional, and exceptional service from all members of the BC Crew. I have had the privilege of creating people's dream kitchen and bathrooms for over thirty years. I handle any project – ranging from a tight budget to a high-end remodel. And I personally work on each and every job to ensure excellent craftsmanship. We manage the entire process from start to finish which secures you the best prices at every step and ensures the entire project runs smoothly and efficiently. With 40 years of experience, JW Millworks can master any custom cabinetry, molding, or millwork need! Serving the greater Fairfield County market with a custom cabinetry shop in Bridgeport. Our Kitchen & Bath installation services offer home remodelers a huge selection of products, services and installation options. Every job comes with LOWE'S unbeatable combination of quality and affordability, in a simple, one-stop shopping package. 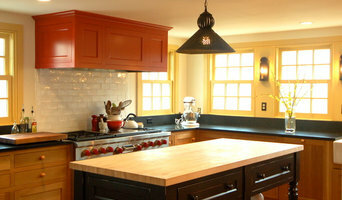 Vision Kitchens is family owned and operated presenting decades of experience with Kitchen and Bathroom remodeling. 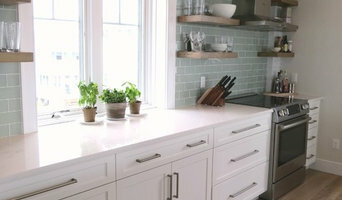 We provide residential and commercial services, cabinetry, hardware, and countertops for all areas of your home or business. Vision prides itself our on our impeccable craftsmanship and our word of mouth referrals. Since 1946 Rusal Construction has been servicing the commercial and residential marketplace. 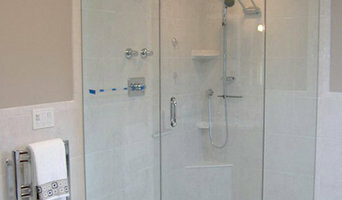 We specialize in bathroom, kitchen and basement remodeling. We also do property management. Woodridge Contracting LLC is a full service home improvement, remodeling and renovation company based in Danbury, CT. As a family based company, we aim to create a personal, friendly relationship with our clients to more accurately create the designs they desire. We are proud to maintain high standards of competence and precision, both of which have been sharpened from over 25 years of experience in the industry. Our skill set allows you to come to us with any project request, with a guarantee of quality work at a great value.